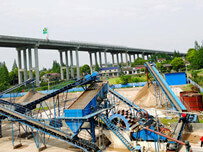 The mud purification machine is a special mud processing equipment independently developed by our company and belongs to environmental protection high-tech products, which are reasonably combined two different mud purification methods of vibrating screening and cyclone separation to form a closed loop purification system for slurry treatment. Mud purification system is suitable for the purification of mud in pile foundation engineering, anti-seepage wall engineering, mud-water balance method shield and pipe jacking construction using mud retaining wall and circulating drilling technology in modern foundation construction. 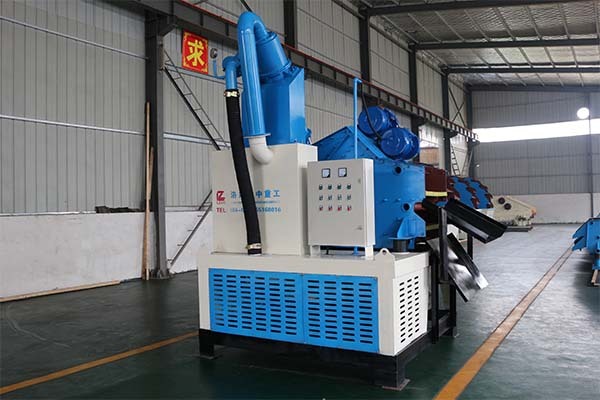 The use of this equipment is beneficial to control mud index, improve pore quality and pore-forming efficiency, shorten clearing time, mud purification and recovery, reduce construction cost, reduce stuck drilling accidents, and reduce environmental pollution. It is one of the necessary equipment for basic civilized construction. 4. The moisture content of dewatered is less than 15%. 3. The main bearing parts of slurry pump, such as impeller, front and rear guard plates, bushings, etc., are made of high-chromium molybdenum cast iron with a Rockwell hardness of 58-62, which can transport strong wear and high concentration of slurry for a long time. 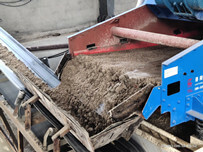 The slurry pumped and sent to the mud purification device through feed pipe, and the material having a particle diameter of 3 mm or more is separated by vibration screening. The mud filtered through the coarse screening enters slurry storage tank of mud purification device, then pumped into hydrocyclone. The feed port is tangentially injected and sorted by hydrocyclone. 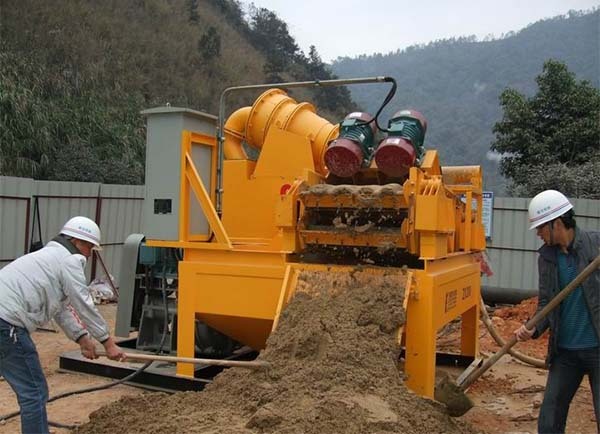 The fine sand of particle size is discharged from grit nozzle at the lower end of cyclone into fine sieve. 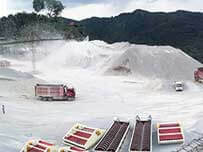 After fine screening and dewatering screening, the drier fines are separated, and the mud filtered through fine screening is returned to slurry tank again. The treated clean mud enters the intermediate tank from the cyclone overflow pipe and is then transported back to the hole along discharge pipe. Previous：How should we do to deal with Sewage sludge? 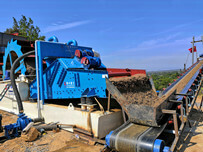 Next：What is the sludge dewatering?